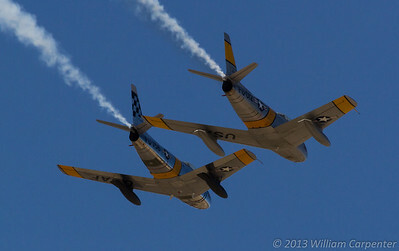 My small collection of photos from my first air show of the 2014 season and my first air show outside of the Pac NW. 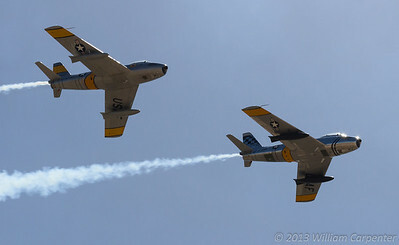 I felt pretty rusty taking these shots, but I'll hopefully get my mojo back before Seafair and Abbotsford. This photo isn't particularly good, as is expected given that it was hastily taken while waiting in line to get into the show. 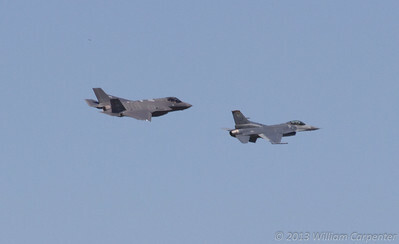 It does, however, show that I was lucky enough to be in attendance for what I believe to be the first ever appearance of an F-35 Lightning II at an air show. Luke just got its first F-35s a few weeks before the show, and they were only listed as being static displays, so getting to see one flying was an unexpected treat. 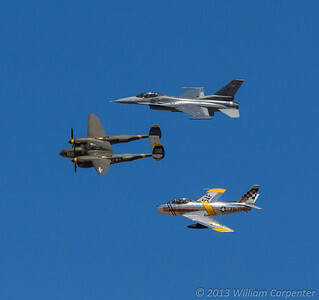 A USAF heritage flight comprised of an F-16, a P-38 (my favorite WWII warbird), and and F-86. 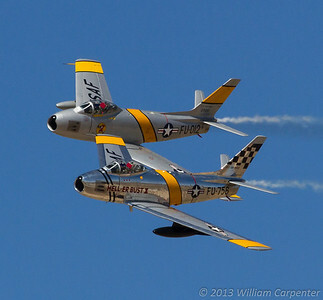 Two F-86 Sabre's in a formation display. Thunderbird 4 sits in wait. This was the Thunderbirds' first show back after the unfortunate effects of sequestration last year. It was great to see a military demo team in the air again, and I look forward to seeing my beloved Blue Angels in Seattle in August. The Sabres' break to land. An F-16 takes off in preparation for a TAC demo featuring ground support from the Marines. 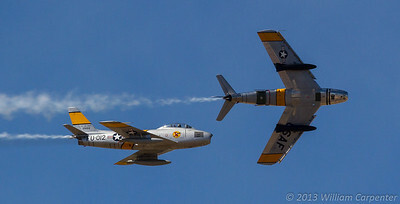 Unfortunately, it turned out that I didn't get to take many photos at this air show, so this portrait of a taxiing F-86 is the last shot in the album.